Brightly coloured handbags like this Gucci, deserve to be kept looking their radiant best – although exposure to UV rays, the build-up of dirt and grease over time does not make this easy! 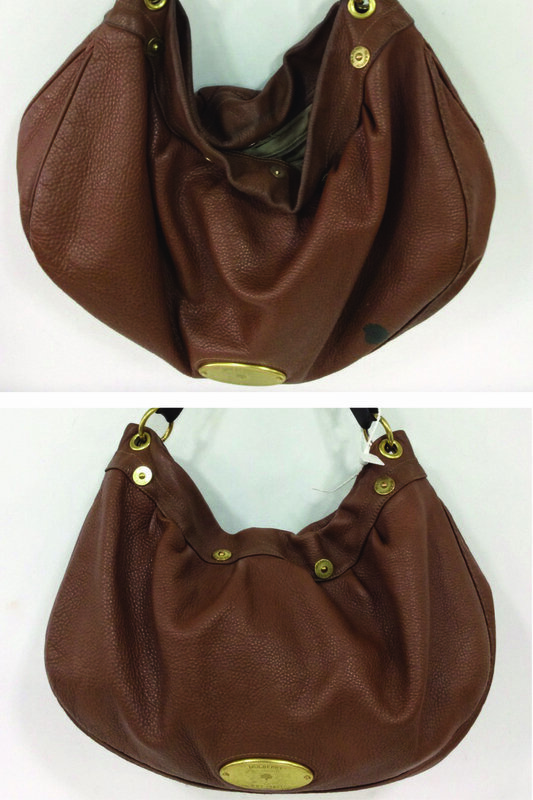 This bags owner decided after years of use, to send it to The Handbag Spa for expert attention. 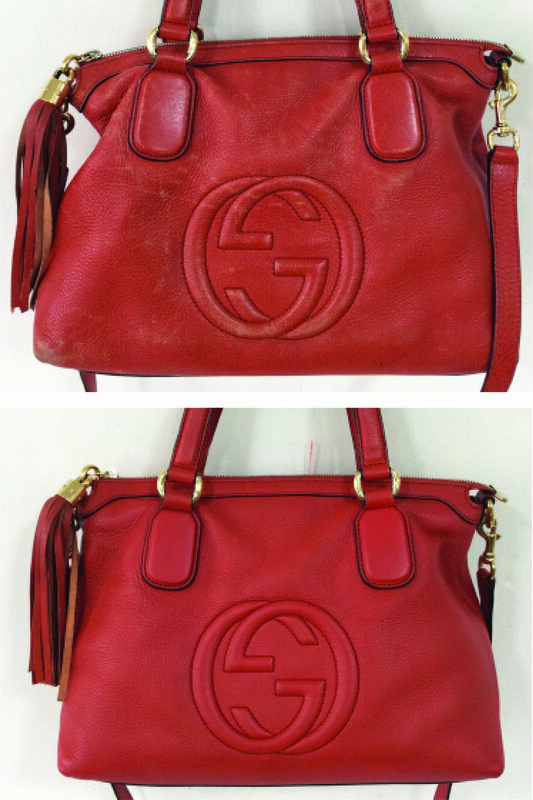 After a HBSpa Clean and Full Colour Restoration this Gucci is in tip-top condition once again. We all like to hold our handbags by their handles, but unfortunately sometimes this means that the handle edging can wear away or peel off! 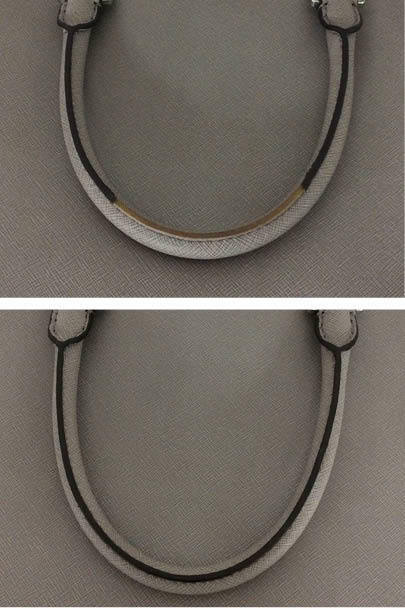 Here at The Handbag Spa, our technicians are experts at re-inking handles and can match the new edging to the original colour, as you can see with this Michael Kors before and after. We’re all guilty of putting our handbags down on any old surface, but this is where they can pick up stains and colour wear (not to mention the germs the encounter!) 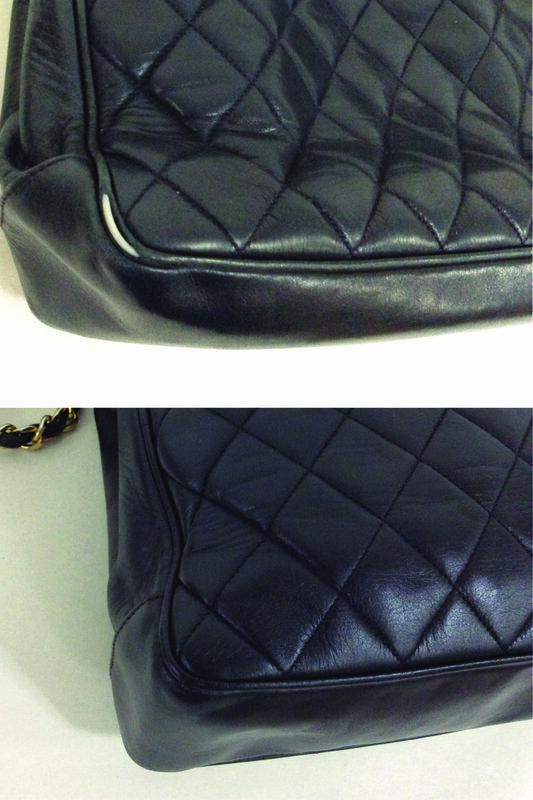 This quilted Chanel bag had a bad case of a stained bottom when it came into the spa for the pamper. We undertook a Full Interior and Exterior Clean, combined with Full Colour Restoration to get it looking fresh again! Now this Chanel handbag doesn’t have any unattractive dark marks. Ink marks are very common and can really ruin the appearance of your favourite arm candy! Luckily, this Mulberry owner knew better than to undertake a home remedy and sent her handbag in to the spa for expert attention and restoration. After a HBSpa Clean and Ink Removal Treatment followed by a Colour Touch Up to blend in any colour loss, this Mulberry Mitzy was back to looking its best. This quilted Chanel handbag had been well used over the years, so much so that the corners had worn through and the white piping was now exposed. 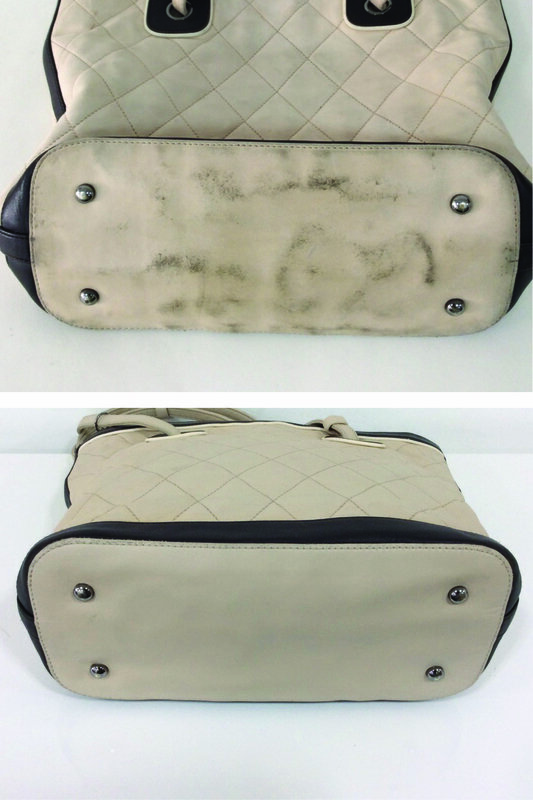 With prices starting from £40.00 for a corner repair, the customer decided the best thing to do was to send her handbag into the spa before the problem got any worse. The repair was skillfully undertaken by our technicians and was so successful that it’s hard to see that the piping was ever exposed in the after photo. The size and style of this TOD’s D Bauletto bag makes it the perfect work horse handbag. Although, the downside of daily use is that this customers attained some light staining and had become generally grubby. Going forward, the customer felt changing the colour to black would give the handbag a whole new lease of life, but still ensure that it’s wearable style. She choose The Handbag Spa as we have vast experience and proven results with Colour Change treatments. 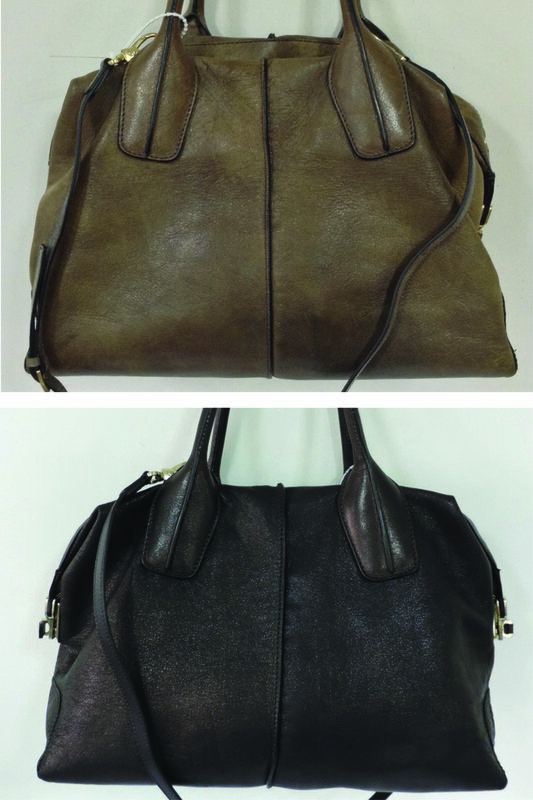 After looking at the before photos, it’s hard to believe it’s the same handbag!